Cairo is a city of extremes. On its chaotic streets BMWs driven by sharp-suited businessmen compete for space with donkey carts laden with farm produce; in its mosques the wealthy and the destitute pray next to each other. The largest conurbation in Africa since the Middle Ages, it was in Ibn Battutah’s words “the mother of cities”. With a present-day population of around eighteen million, this sprawling metropolis is home to one thousand new migrants every day, drawn to the seething intensity of a modern, cosmopolitan capital that blends together the cultures of the Middle East and Europe. The fabled city on the banks of the River Nile, once home to pharaohs and emperors, now forms a focal point of the Islamic faith and of the Arab world.Andrew Beattie explores the turbulent past and vibrant present of this city where the enduring legacies of the ancient Egyptians, the early Coptic Church, British colonial rule and the modernist zeal of the post-independence era have all left their mark. CITY OF WRITERS, CONQUERORS AND REVOLUTIONARIES: From Mark Twain and Thackeray to Paul Theroux and Naguib Mahfouz, Alexander the Great to Napoleon, and Lawrence of Arabia to Colonel Nasser. CITY OF MONUMENTS AND SPECTACLE: From the Pyramids of Giza and Saqqara to the Mosque of Mohammed Ali, dominating the Cairo skyline; from the teeming bazaars of the muski to Coptic and Islamic festivals. CITY OF ANCIENT AND MODERN: Where ancient churches and mosques sit cheek-by-jowl with modern skyscrapers and busy highways; where prosperous suburbs lie close to areas of third world poverty and deprivation. 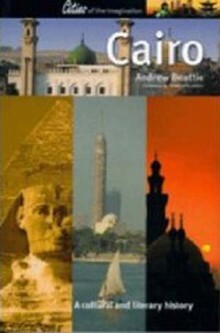 ANDREW BEATTIE has travelled widely in the Arab and Islamic worlds, from Morocco to Borneo, and has written for Rough Guides and the Independent on Sunday.